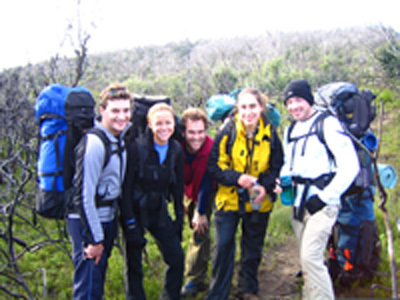 This trip is specifically designed for students who want a wilderness experience in one of the most pristine areas of Australia. It is a physically demanding one with three days of walking. You will be self-sufficient for the expedition, carrying your own tent, sleeping bag, clothes and any other personal equipment required. 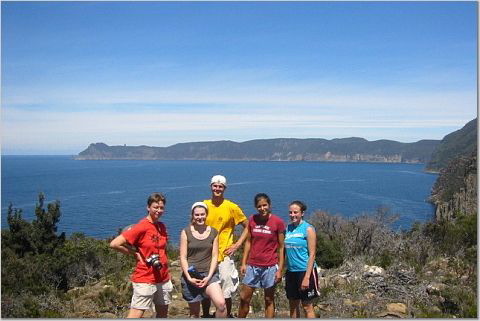 The expedition is held in the Tasman Peninsula National Park in Tasmania. The benefit of having it located in this park is that it can be served as an 'add on' to Allawah's 4 day Tasmania Discovery trip. 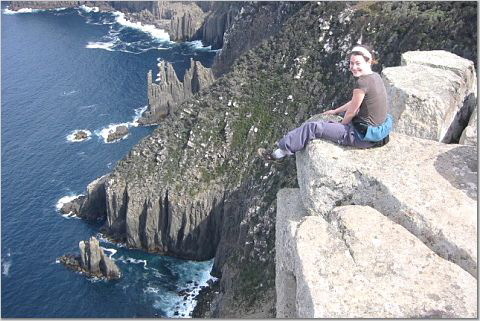 The Tasman Peninsula is one of Tasmania's most exciting parks and is located only a couple of hours from Hobart. It is an amazing coastal park, rich in native flora and fauna. This walk winds around the cliff tops, beaches and bays with dramatic rock formations. This is an exciting and spectacular walk that all our previous students have loved. Please note: Flights to and from Tasmania are not included in the price. Students are responsible for booking their own flights to Hobart and should arrive the day before the trip commences and not depart before 7pm on the last day of the trip. The trip also requires that students attend a compulsory pre-trip briefing. Details of this briefing will be supplied on trip booking. 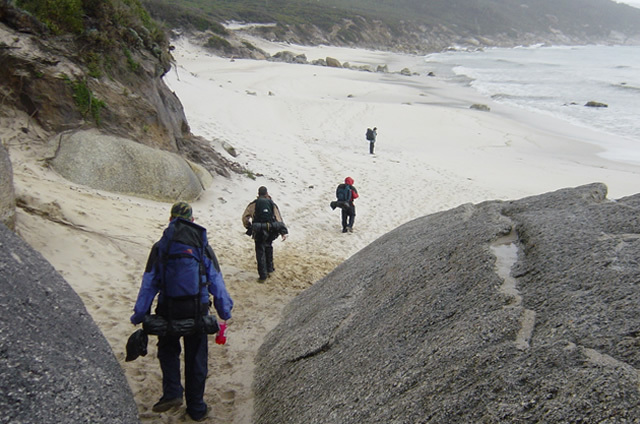 On the map, Wilsons Promontory, 'The Prom' as it is popularly known, forms a long peninsula sticking out into the storm-lashed Bass Sound. The southernmost two thirds have a range of hills up to 700 metres (2,300 feet) above sea level and nestling between the mountains and wonderful sandy beaches that can only be reached on foot. Here you can walk from beach to beach to the southernmost tip of Australia. 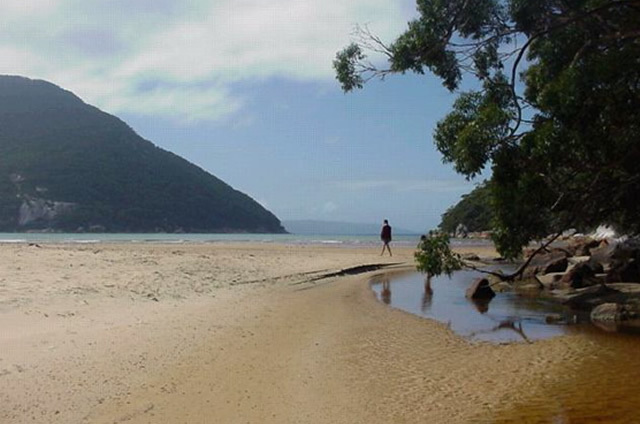 This popular three day bushwalk takes in the best the Prom has to offer. 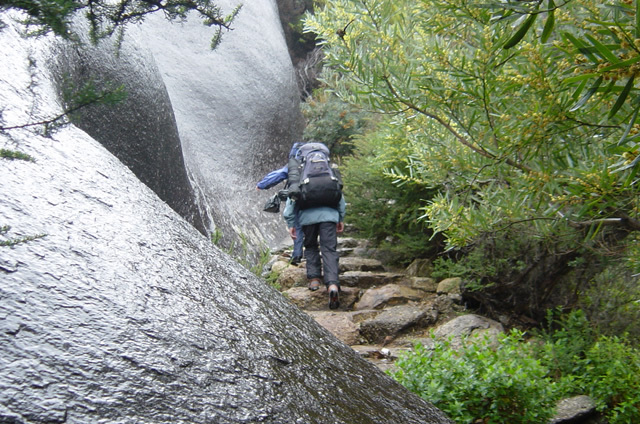 You will be carrying your own supplies - tent, food and personal equipment, which adds to this bushwalking experience. Price includes transport, food and all equipment.